WHEN TO "TÚ" AND WHEN TO "USTED"
Whether you use tú or usted depends on a variety of different factors, but it can be a bit intimidating for English speakers used to addressing everybody as "you". Remember the basic difference is how intimate you are with the person. What difference does it make when speaking Spanish? The form of "you" that you use will change your verb endings. When you're learning your conjugations you'll learn both the formal and informal forms. 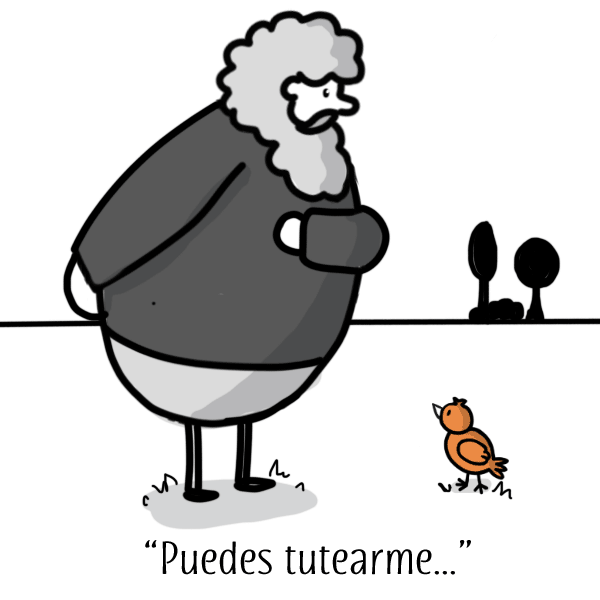 See the differences between tú and usted in these examples. Do you know where the house is? Note: We've included the words tú and usted in the examples above, but it's very common for Spanish speakers to just leave them out. So make sure you pay attention to those verb endings!